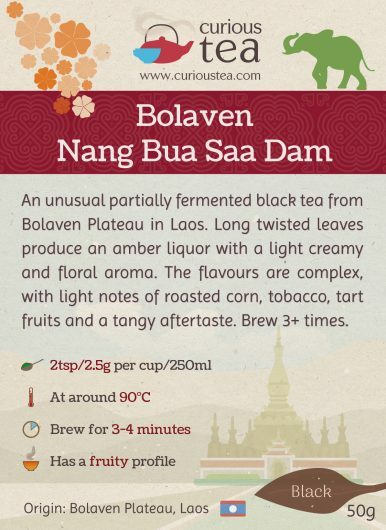 Bolaven Nang Bua Saa Dam is an unusual partially fermented black tea from Bolaven Plateau in Laos. Long twisted leaves produce an amber liquor with a light creamy and floral aroma. The flavours are complex, with light notes of roasted corn, tobacco, tart fruits and a tangy aftertaste. 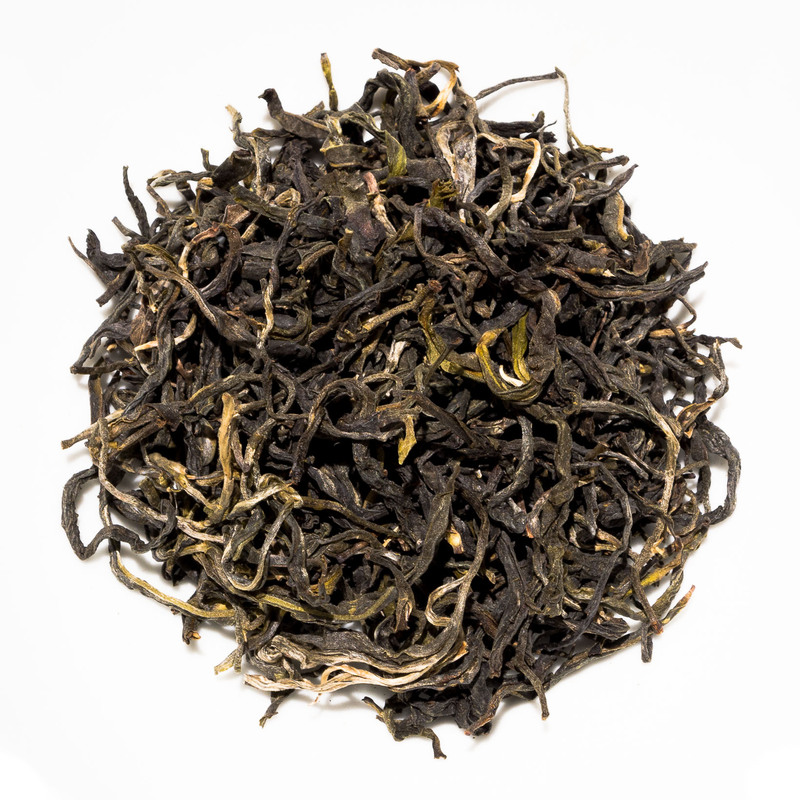 Bolaven Nang Bua Saa Dam is a black tea from Laos, a country that is not widely known for producing tea. This tea comes from small tea garden of Mrs (Nang) Bua Li Lam. Saa Dam means ‘black tea’ in Lao. 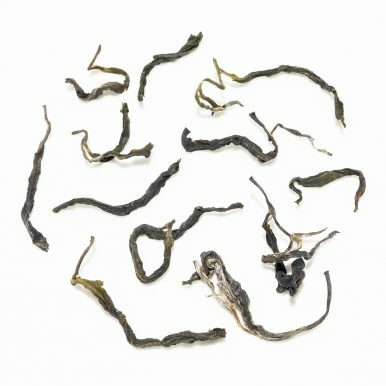 This tea is grown on Bolaven plateau, which is a remnant of an extinct volcano, making the land very fertile and lush year round. This tea is picked by the farmer to order and is from the 2017 crop. Although Laos is not well known for its tea, there is some belief that the camellia sinensis tea plant originated in the larger area covering southern Yunnan, Vietnam, Laos, Thailand and Myanmar. There are many ancient trees scattered around the wild forests of these countries. 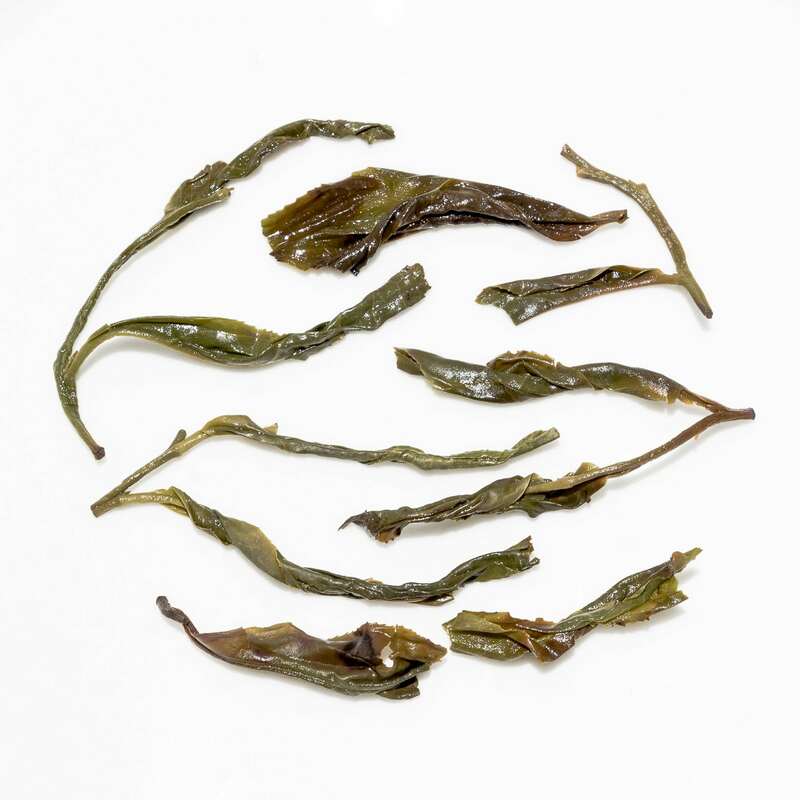 Some of the oldest living specimens of the Assamica varietal, which is also known as the big leaf (大葉) varietal in China, are found in the region. 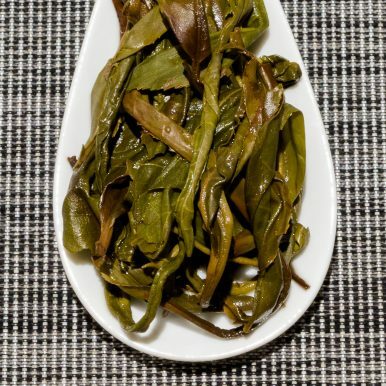 Unlike the Chinese, who have created a wide range of tea varieties, and the Thai and Burmese who use the plant in cooking, the Lao people have not developed the usage of the leaf. The main local crop is coffee, but recently tea is starting to be grown commercially but still in small quantities. 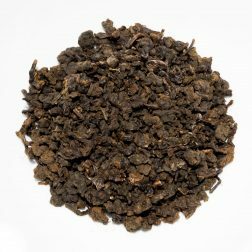 A lot of the tea leaves that are picked in Laos end up in Yunnan Province of China where unscrupulous tea makers and sellers pass it off as the more expensive and rare local pu-erhs. 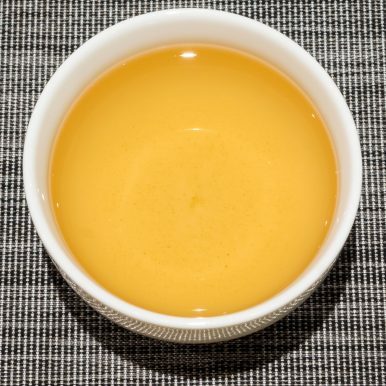 This passing off of ‘cheap’ Lao tea as ‘expensive’ Yunnan pu-erh is enabling local Lao farmers to realise that there is great future potential in Lao tea. 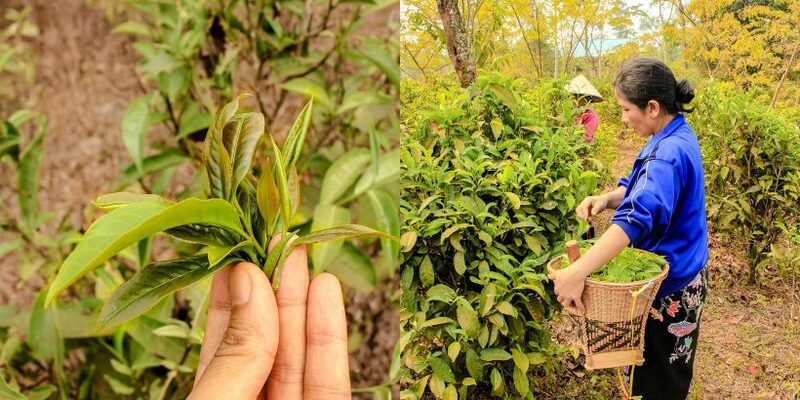 The tea plants that are found in Mrs Bua Li Lam’s garden are direct descendants of trees that were planted by the French in the 1930’s, when Laos was still part of Indochina. 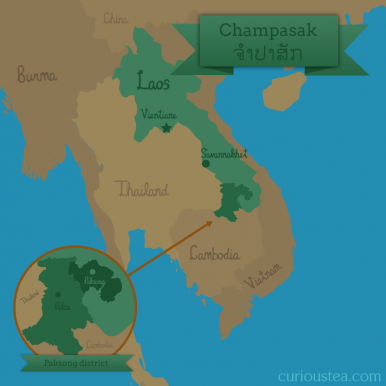 Wild (shan) trees were taken from northern Laos and planted down in the more fertile Bolaven Plateau, yet still around 1,000 metres in altitude. Mrs Bua Li Lam’s trees, which number only about 70, grow semi-wild in her back yard and were inherited from her mother. Some of the trees are over 15 metres tall and she only harvests them if there are orders for tea. They grow without fertilisers or pesticides, the use of which would actually be a waste of money, since the tea trees are very well acclimatised, and are very robust plants. 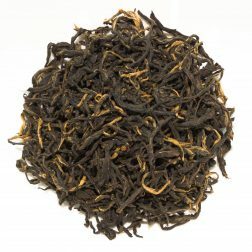 The Bolaven Nang Bua Saa Dam black tea itself is slightly fermented, and is somewhat similar to a raw pu-erh. After picking, the leaves are dried on a very large metal table that is heated underneath by an open fire that is fuelled by coals made from logs from the local forest. This is akin to drying tea leaves in a wok, a practise that is common in this region. After the initial drying, the leaves are left in a steaming pile on the drying table as there is still some moisture remaining in them. The leaves cool for a couple of hours, after which Mrs Bua Li Lam comes back to fry them for the last time to remove any remaining moisture and to finish the tea. This Bolaven Nang Bua Saa Dam has large dark twisted leaves. When brewed it produces a deep amber liquor, with a hearty warm, corn-like nutty aroma. There is also a pleasant hint of tobacco present. The flavour is slightly drying, with slightly smoky notes, later becoming greener and floral, akin to fresh fruits and dandelions. 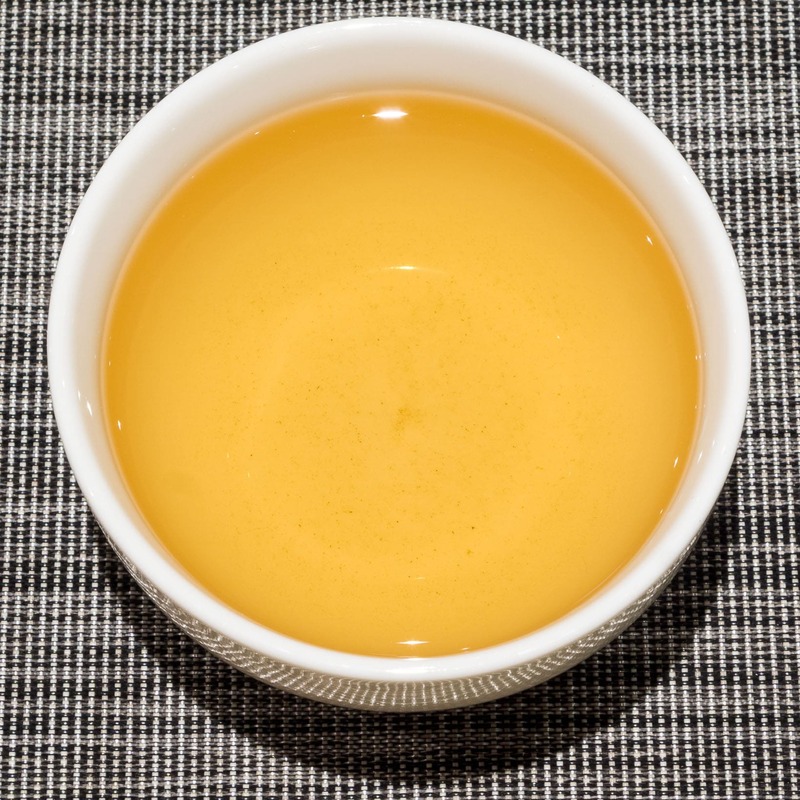 There is no maltiness, which is slightly unusual for a black tea from this part of the world. 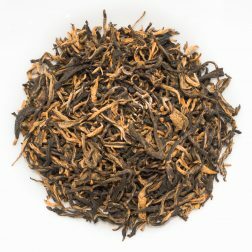 It has a definite wild taste, similar to a young pu-erh, which becomes more floral with further infusions. 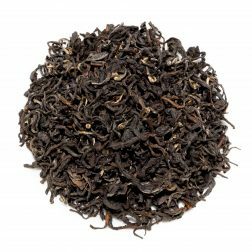 This Bolaven Nang Bua Saa Dam black tea was first featured in our October 2017 Curious Tea Subscription Boxes.